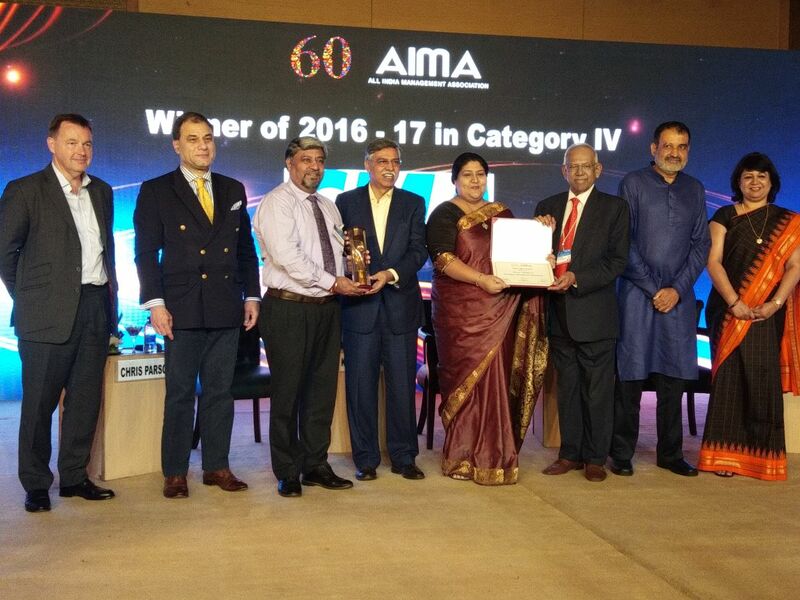 Chandigarh Management Association (CMA) was conferred with Best LMA Award (Category IV) for the year 2016-17 at AIMA’s Diamond Jubilee National Management Convention held at Hotel Le Meridian, New Delhi on 27-28 September 2017, in recognition of CMA’s contribution in achieving AIMA’s objective. Mr. Deepak K Dhingra, President CMA and Dr. Aneet Bedi, Immediate Past President were honoured with this award by Mr. Sunil Kant Munjal, President AIMA and Mr. Sudhir Jalan, Chairman, New Foods Pvt. Ltd in the presence of about 700 dignitaries.